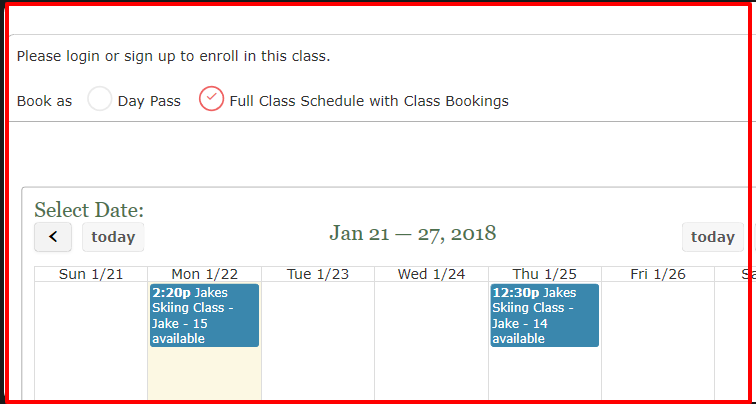 We have added some new booking options for class scheduling and membership management. Now you can have both day pass and full schedule booking options for your members. In the backend when scheduling a class you will see some of these available options. Give this schedule the option to be booked as a day pass with a day pass pricing. Enable full schedule booking for the member with full schedule pricing. 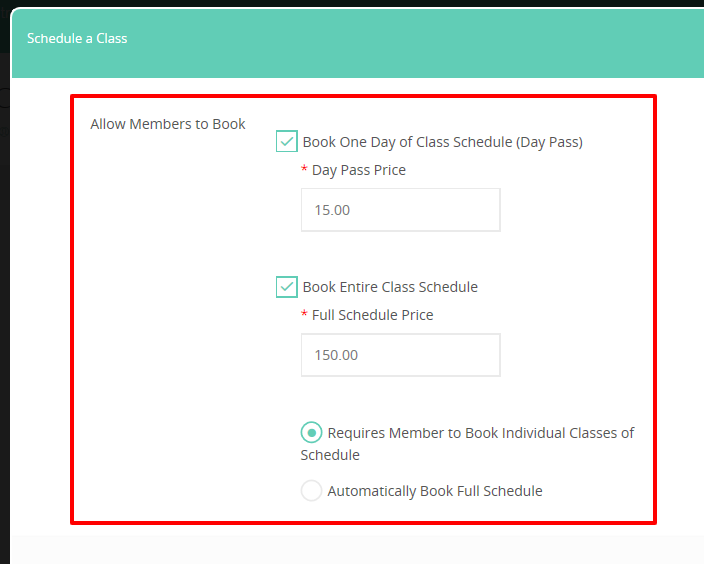 This allows the members to have the options to automatically book the full schedule or book each class of the schedule individually. 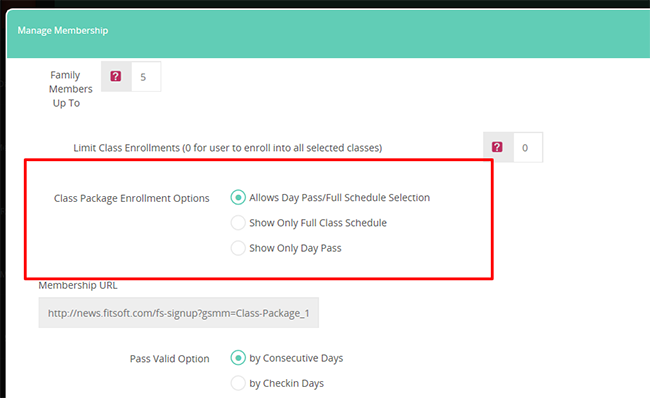 There will be a scenario where you want to create a schedule that has both options for day pass and full schedule bookings but require to limit their option during class enrollments. For example you want members who signed up for a class package to enroll into their classes as a full schedule enrollment and not a day pass. Displays only the full class schedule. When scheduling if the ‘automatically book full schedule’ is selected then it will not display the date selection option. This will only display the day pass. If a member has not enrolled into a day pass they will be allow to enroll one time into the schedule but any other time they will be charged. * Note that this is for members who are enrolled in your class packages and are logged into their account. Above illustrates both options of day pass and full schedule booking turned on for this class schedule. Now members can book day pass or full class schedule for each schedule.